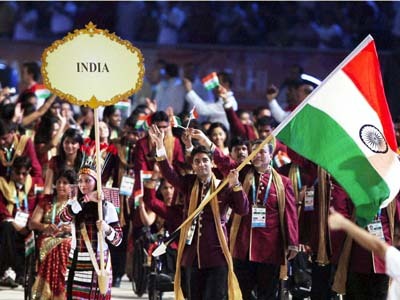 Rewind 2010: A brilliant year for Indian sports! Indian sports has long been dominated by cricket all the time. Though it was an important factor in considering India’s performance in sports this year, it wasn’t the only sport where we excelled. Saina Nehwal at badminton, India’s performance at the Asian Games and the Commonwealth Games and also some good stuff from the hockey team ensured one of the best years for Indian sports in a long time. Saina Nehwal is not very muscular. Neither does she have the backing of any godfather. Nor has she won tournaments by fluke. This 20 yr old sensation has made such giant strides this year in a sport which the Chinese have traditionally excelled in that even the Chinese seem shocked seeing her. With her sharp returns, excellent focus and concentration and nimble – footed movements on court, she has thrashed opponents left, right and center reaching the number 2 ranking. Have you ever heard of Ashish Kumar, Krishna Poonia, Virdhawal Khade? These were some of the relatively unknown faces who made us proud by winning medals in sports as diverse as athletics, wrestling, boxing, swimming, gymnastics to name a few. The first reaction to this was “I didn’t know we had gymnasts, let alone take part in the Commonwealth Games!” Meanwhile our archers, shooters and wrestlers had a year to remember winning medals across the Asian and Commonwealth Games along with winning medals at other championships. The fact that we managed to come 2nd on the CWG medals tally and achieve our best performance at the Asian Games was something none of us must’ve even imagined. The most interesting part of the whole event was that half of the medallists were from Haryana – a state which has given special importance to promoting sports from the grassroots level. A Lakshmi Mittal supported Champions Trust has also been set up to support and nurture the best athletes of the country. Somdev Varman came into his own by winning us the Davis Cup clash with Brazil and also winning medals at the CWG and Asian Games. A tennis star and that too in singles seemed to have risen from nowhere! The Indian Hockey Team jointly won the Azlan Shah Cup as well as came 3rd in the Commonwealth Games. The fact that this was achieved when the public expectations were low after their 8th place finish in the WC held in India was a miracle in itself. Though one should give credit to them where its due. During the matches against Pakistan throughout the year as well as against England in CWG, India played some of the most fantastic hockey seen in a long time supported by a partisan crowd at the Dhyan Chand stadium in Delhi. Obviously a lot more can be done to improve sports and the infrastructure at the basic level. But Haryana has shown the way to the other states. Will they follow? Do we care about the other sports even now after the Asian Games and CWG have ended? These are some of the basic questions which need to be answered! Before you guys kill me! Obviously an important development was India’s no 1 test ranking in cricket which prompted our BCCI to schedule more test matches than what India normally plays. Dhoni equalled Azhar’s record of India’s 2nd most successful captain. The “Indian Express” – Leander Paes and Mahesh Bhupathi coming together for the Australian Open 2011! Now can there be anything better than this? Quick Facts – Health of my blog in 2010!